The World’s Largest Service Club Organization. Our 48,000 clubs and 1.5 million members make us the world’s largest service club organization. We’re also one of the most effective. Accomplished people from around the world have led our great association in its over 100-year history. While each international president brings a unique perspective and expertise to Lions Clubs International, there has (and always will be) a single constant that unites all Lions: service. With this as a guide, each president is committed to helping clubs increase their service, and as a result, their impact on our local and global communities. There’s a world of service yet to be reached, even by Lions. During International President Gudrun Yngvadottir’s year at the helm of Lions International, we’ll reach within our district, clubs and selves to reach levels of humanitarian good the world has never known. 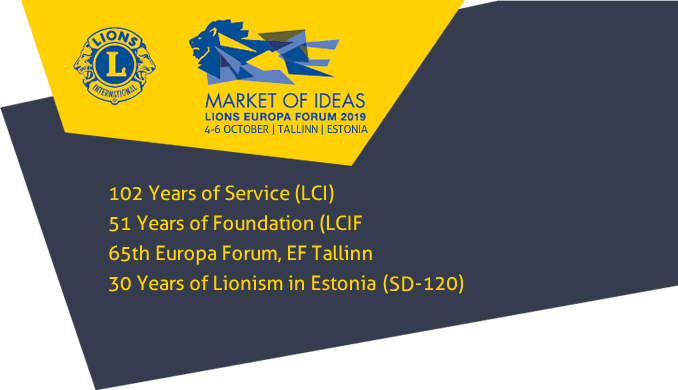 International President Yngvadottir’s programs and initiatives will focus around four key elements of Lions International that are important to moving the association forward. Since our founding in 1968, we have strived to sustain Lions’ humanitarian service goals throughout the world, awarding over 13,000 grants totaling more than US$1 billion, in the four key areas of sight, youth, disaster relief and other humanitarian efforts.